As luck would have it, actually, really just the CSO schedule, no luck at all - there is a Pops concert next week, WHICH MEANS - not only will I get to see family over the weekend, but my lucky toukes gets to climb in the attic today and strike Microphones! (GRRRRR!). Anyway - all in all, I do love my job and as one of my co-workers said right before the concert on a Sunday, 'sure does beat working for a living'. And he couldn't be more right. 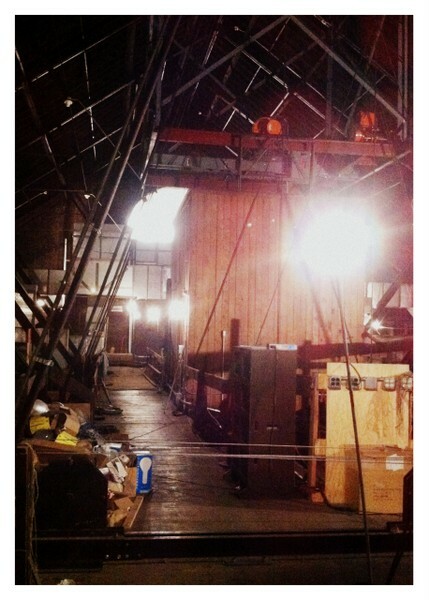 So up we go, into the rafters and down ladders to crawl spaces abound to coil up cables and chat with Music Hall ghosts!